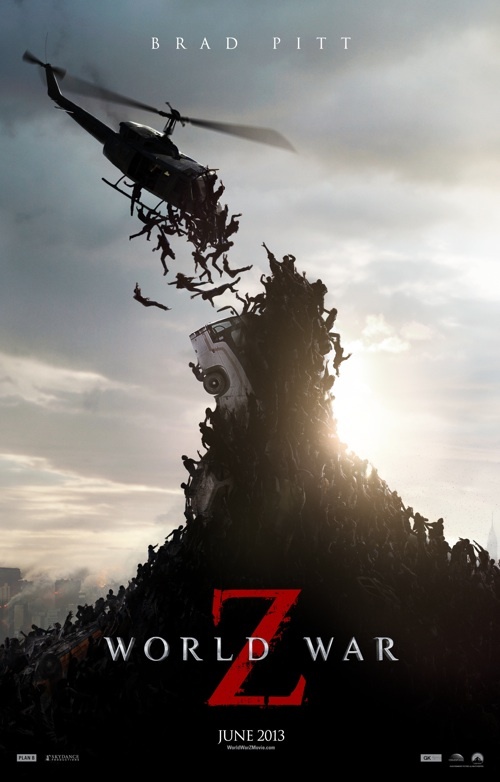 After it was accidentally released on Saturday -- and subsequently taken down -- a new trailer for this summer’s highly-anticipated zombie flick, World War Z has been officially released. In case you're not an undead-head, the movie is based on Max Brooks' globetrotting novel about a zombie pandemic. But instead of a Studs Terkel-esque oral history, post-apocalypse, this focuses on a U.N. fact-finder who travels the world trying to find the origins of the zombie plague. Directed by Marc Forster (Quantum of Solace) and starring Brad Pitt, who also produces, this is the biggest zombie project ever, with a budget allegedly pushing past $170 million. If it does well, the geo-political flick also will serve as the first part of a Bourne Identity-meets-The Walking Dead trilogy. Based on the second trailer, embedded after the jump, World War Z is putting much emphasis on authority figures battling a natural disaster -- like a really big swarm of killer bees -- without spending too much time on the hungry, hungry human corpses. Zombies as swarming creatures, as opposed to hoards or loners, is cool. 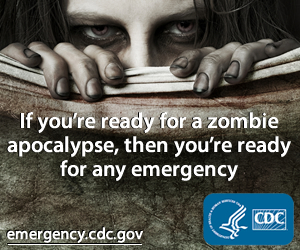 And Brooks has always stated that he views zombies as a natural disaster you can prepare for. But in the trailer, you never really see an individual "Zack." This might be an attempt to keep the camera on Pitt; hopefully it's not because the zombies look bad (or too CGI'd). We will find out on June 21 when the movie opens. And to see the trailer on the big screen, check out G.I. Joe: Retaliation this weekend.